Your gum health plays an important role in the overall health of your body. And when your gums are in distress? There are serious consequences to be had. Periodontal disease, perhaps more commonly known as gum disease, afflicts nearly half of Americans aged 30 and over (CDC). That’s almost one in every two people. Once the gum disease advances and oral bacteria enters your blood stream it can lead to cardiovascular and respiratory issues, in addition to more obvious conditions like tooth loss. The good news: Many forms of gum disease can easily be treated – and even reversed – if caught early enough. The key is knowing what signs to look for and then scheduling an appointment with your trusted local periodontist as soon as possible. You might just be surprised by what you find out! Here are six signs it’s time to visit your trusted periodontist. Your gums are tender, red, or bleeding during brushing and/or flossing. Healthy gums should be firm to the touch, pinkish in color, and should not bleed easily. 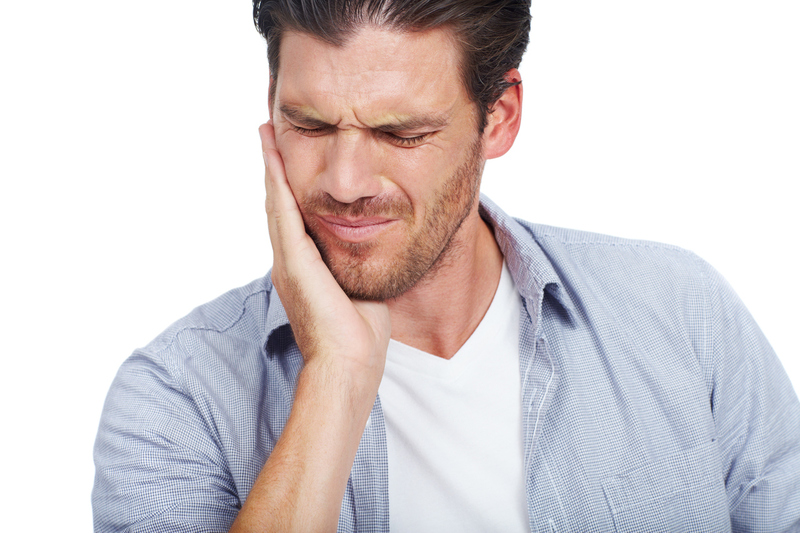 Sore or inflamed gums are often one of the earliest signs of periodontal disease and should be taken seriously. Your gums appear to be receding. You may not necessarily notice when this is happening as it’s generally a slow process that happens over time. One key indicator that your gums have started to recede is if your teeth look longer than they did previously. When it doubt, get them checked out. Your teeth are more sensitive than usual. As your gums recede, the roots of your teeth become exposed. The roots do not have a protective enamel coating on them like the rest of your teeth, thus the increased sensitivity to hot or cold liquids and foods that you’re experiencing. Your bite feels different or you think your teeth have shifted. The gums and bones around your teeth are designed to hold them in place. Periodontal disease can cause these gums and bones to weaken – the result is loose teeth and, eventually, the complete loss of the tooth. You have unexplainable bad breath. While there are many causes of bad breath, bacteria in and around your teeth is what causes the odor. To find out if an underlying issue like gum disease is causing your bad breath, see a periodontal specialist sooner rather than later. If you have a preexisting condition or lifestyle that puts you at greater risk for periodontal disease. Diabetes and pregnancy are just two examples of populations who are at risk of getting gum disease. Tobacco users should also take extra precautions to fight gum disease, including regular visits to their dentist and/or periodontist. Even if you’re not currently experiencing one of these symptoms, when it comes to your gum health it doesn’t hurt to be proactive. If you’ve never seen a periodontist before, now might be a good time to make the call and get evaluated. Our friendly and professional team at Central Florida Periodontics & Implantology is happy to help you. Fill out our online contact form today and we’ll be in touch soon.